The digital recording equipment today is the most advanced, available at a fair price. However, the equipment is laborious and complicated to use. Not to worry though, PowerSE Media has a solution for users like you who would like to record audio and edit audio for video production without hauling heavy equipment around. 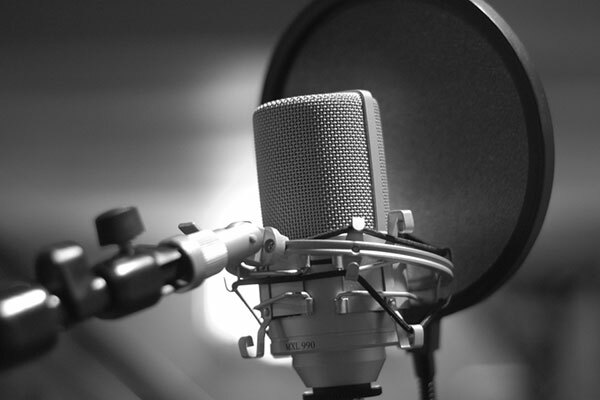 This post will focus on how to record audio and how to edit audio for video production. Power Sound Editor Free is the best software there is for a wholesome experience capturing high-quality audio. You also get a wide range of audio editing and effects that are perfect for video production. 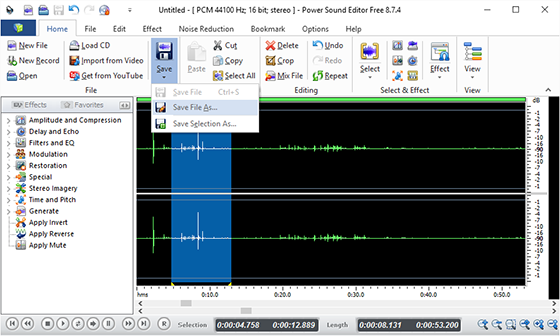 Power Sound Editor Free can help you record new audio files from a wide variety of sources such as microphones, content streaming websites, DVD/VCD/CD players, computer players such as Windows media player, VLC, Real Player, MP3 player, Web Pages, and so much more. The software is 100% free. Streaming has surpassed downloads and users can get on-demand content. Streaming sites can give you the necessary solution, and Power Sound Editor Free can capture the audio file with ease. DVDs and CDs are the most common places to store and carry audio files. The software can rip a disc irrespective of the file format. The inbuilt Advanced Audio CD Ripper can rip your audio CD into WAV, MP3, OGG, FLA, WMV, and so much more formats. After you have the audio on your computer, the job shifts to making it ready for addition to a video track. Power Sound Editor Free has the largest audio editing options of all the alternatives. You can edit the audio file by deleting, copying, cutting, mixing, as well as pasting. You can also paste and mix from a file folder. You can apply effects from a wide range of audio effects such as MultiTapDelay, equalizer, insert a delay, amplify the audio, normalize the audio as well as put in fade and flanger effects, just to name a few. Q: I have the latest version of Power Sound Editor Free, but I cannot get around to adding text-to-speech. How do I do it? A: This is one of the most problematic processes affecting professionals and novices alike. Click on the ‘Open’ button on the user interface to add your audio file and select the insertion point on the audio track waveform. Click on the ‘File-Text To Speech’ button as well as the ‘Synthesis Speech’ tool, and you can add the text you wish to be spoken. You can go a step further and select the voice to speak the words. Here is what you can expect Power Sound Editor Free to achieve at no cost. Power Sound Editor Free can transform a raw audio file into a soundtrack that will match the emotion of the video. You have a long list to choose from, more than 25 audio edits, including invert, Fade, Vibrato, echo, chorus, stretch, silence, and so much more. You also get an even better list of editing options where you can cut and join different files, mix, as well as delete unwanted parts of the recorded video. Unlike many audio editing software, you get to see the results of your work in real time. This means that whatever effect you add to your audio file and the edits you make, you can experience them as you go along. You do not have to wait until you complete the process. If you are not satisfied with the result, you can undo the process and start again or change a few aspects given your preference. Ensures the activation of the recording tool. Select your recording device and ensure to choose ‘Stereo Mix’ from the ‘Line In’ menu, failure to which the software will not detect the stream. 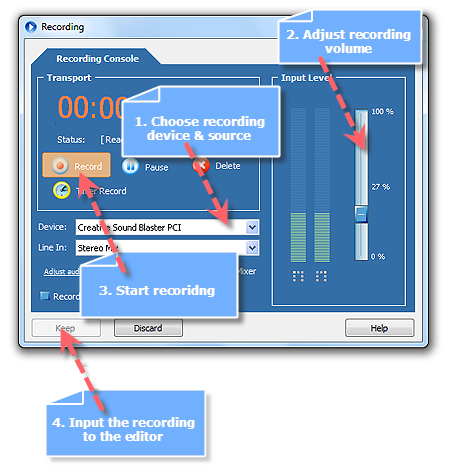 You can opt to set the recording timer as well as adjust the recording volume to record without silence. Start the streaming and when Power Sound Editor Free detects it, and you will see the signals on the LEDs on the interface. Click ‘Record’ when ready. After you have captured enough audio, click on ‘Pause’ and ‘Keep’ to finish recording and the waveform will load. That’s all for how to record audio. How to edit audio for video production? 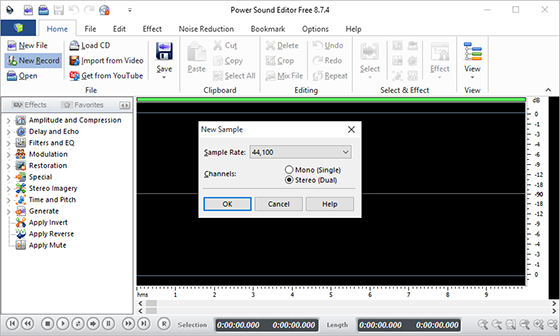 You can now use Power Sound Editor Free to edit the recording or audio files you have, adding the audio effects, editing the audio, etc. If you are satisfied with the audio, click on ‘Save – Save File As’ and the output window will pop up. Here you can specify the storage location of the audio, format, and the name. Click on ‘Save’ to activate the format settings window, and you can use the provided presets or define your own. When all the settings are as per to your specifications, click on ‘OK’ and your new recording will be stored in the specified output location. Now you’ve learned some tricks about how to record audio and how to edit audio for video production, go have some fun! The secret to high-quality recordings lies in choosing the appropriate recording channel on the interface. The software provides many options, and you can test them out until you get the right fit for your desired quality. Different videos will call for different types of audio. With this in mind, you have at your disposal over 25 effects as well as editing options. Take into perspective the objective of your video and choose the proper effects to add to your audio. Streaming – This is the method of receiving and sending audio and video data over a computer network as a steady and continuous flow that allows playback as the data is received. Ripping – This is the activity of using a program to copy material from a DVD or CD onto the hard drive of your computer. Copyright – This the exclusive legal right held by the originator or assignee to publish, print, film, perform, or record artistic, musical, as well as literary material. Disclaimer: There are stringent copyright laws that could get you prosecuted if you defy them. PowerSE Media does not condone the use of Power Sound Editor Free to record audio for commercial purposes. PowerSE Media is passionate about giving users the best solutions to solve the how to record audio and edit audio issue in the modern age. Power Sound Editor Free is the ultimate software to get the job done. Be sure to look out for updates and newer versions.